Happy Friday everyone! It's been a busy week this week with my in-laws who are here, taking Lily to various places around Atlanta and spending the night watching movies and helping Zach and I around the house. This weekend we're enjoying time outside before we leave for vacation next week and attending a friend's baby shower. Let's share some fun things that I'm loving this week too! 1. SLEEP- I'm not sure if it's just the exhaustion of having company almost for an entire month ( but I'm not complaining because I love the extra help ) but sleep has always been few and far between since bringing Landon home. However, the last few days he may be going through a growth spurt because he's been sleeping 4 hours at a time as opposed to 2. I'm praying 6 hours is coming in the near future before I head back to work in the next 2 weeks! 2. 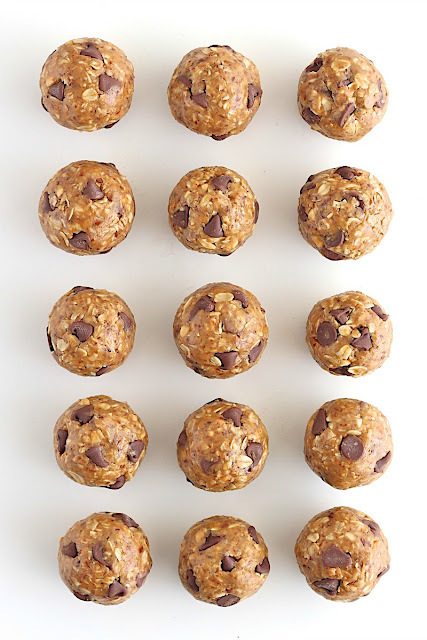 Peanut Butter Energy Bites - Next week I'm sharing my delicious recipe for breastfeeding Mom's but also really just for anyone looking for a quick, easy and yummy snack to take with you on the go! I've already made 3 batches of these in the last 3 weeks because I can't get enough! Stay tuned! 3. Working Out - I was finally cleared at my 6 week post appointment on Tuesday to start working out again! HURRAY! 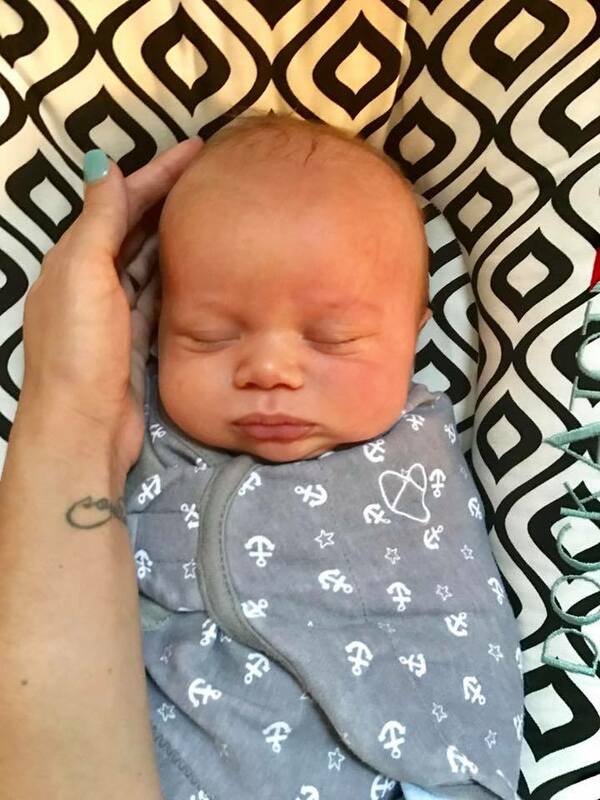 As someone whose fairly active it was pretty hard to keep my work out sessions to a minimum to recover smoothly after having Landon. I really listened to my body though during the last 6 weeks and can't wait to add a bit of strength training to my work out routine in the coming days. 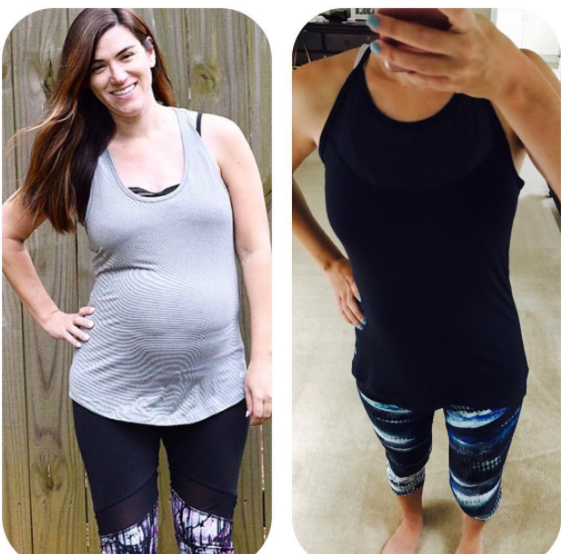 Plus how cute is my new work out gear from Ellie Activewear. 4. CowFish - Before we moved to Georgia I had followed a few of my favorite bloggers who lives in the North Carolina/Georgia area and would always rave about this unique restaurant. 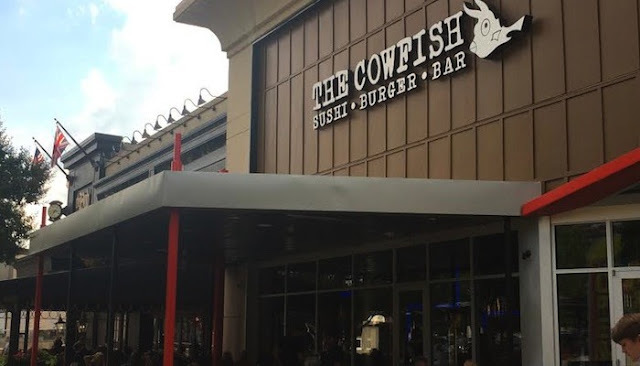 CowFish is a burger and sushi experience that combines both Zach and my 2 favorite items so I knew when I heard we had one near by, I wanted to try it out. We went on our first date night last night since having Landon and it was so nice to catch up without a newborn crying or my toddler asking to help her with one more coloring page. Plus, the food was incredible, just like everyone had said! 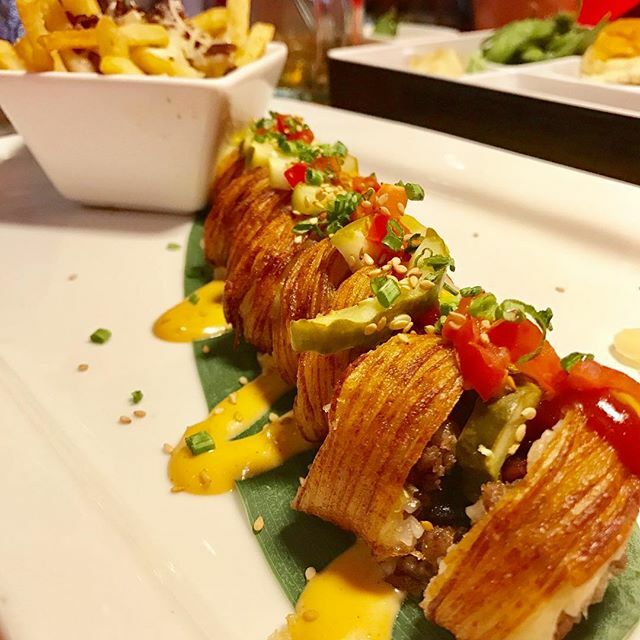 I had the double cheeseburg-ooshi aka a burger that's rolled up like sushi and probably one of the most amazing and unique items I've ever tasted. A full review is coming soon!